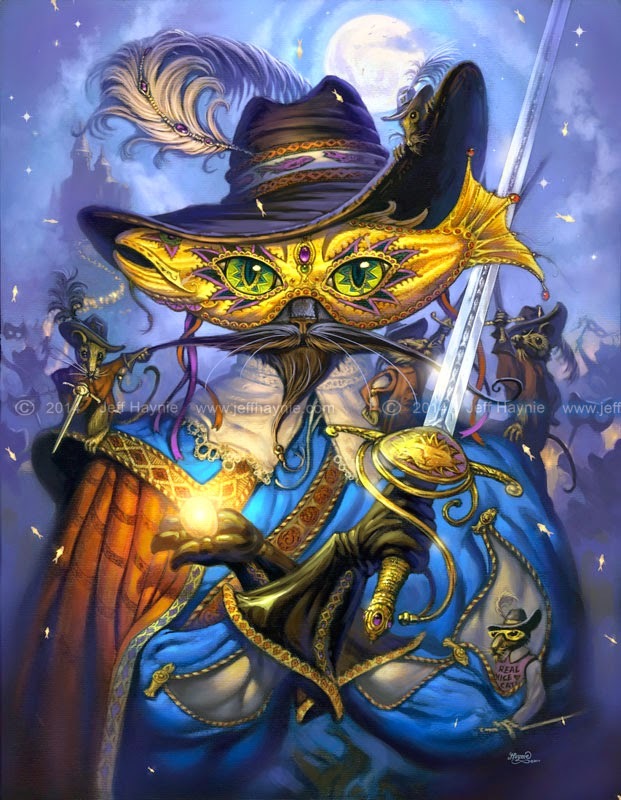 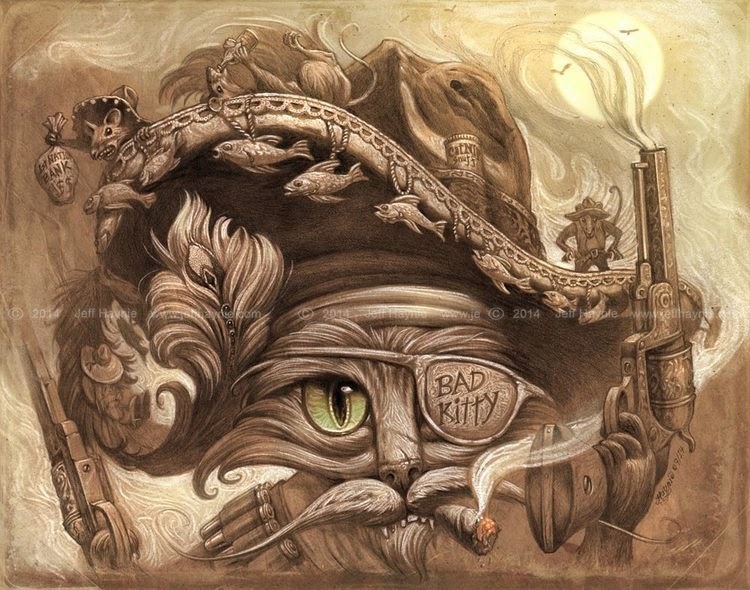 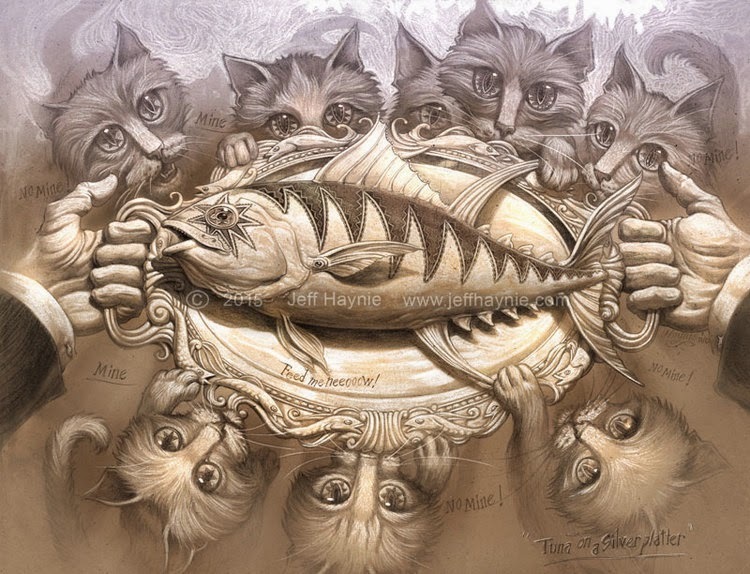 Jeff Haynie is a Fine Artist, Writer and Teacher in the United States, he counts as his clients some of the biggest corporations in the world. 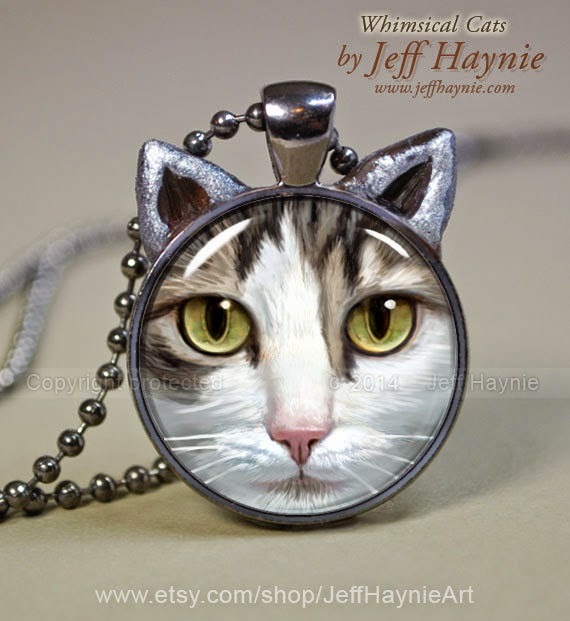 Thanks to Haynie, today we bring you all things Cat, I guess the title says it all. 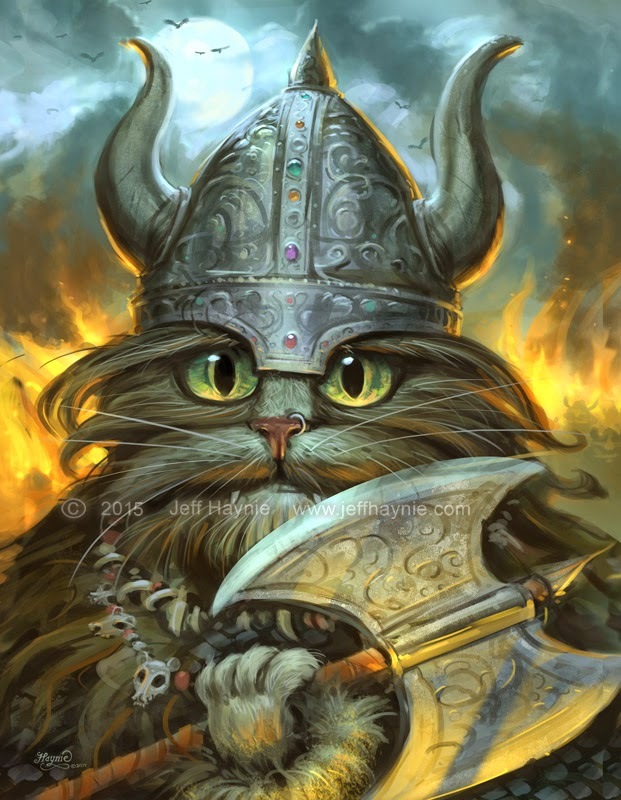 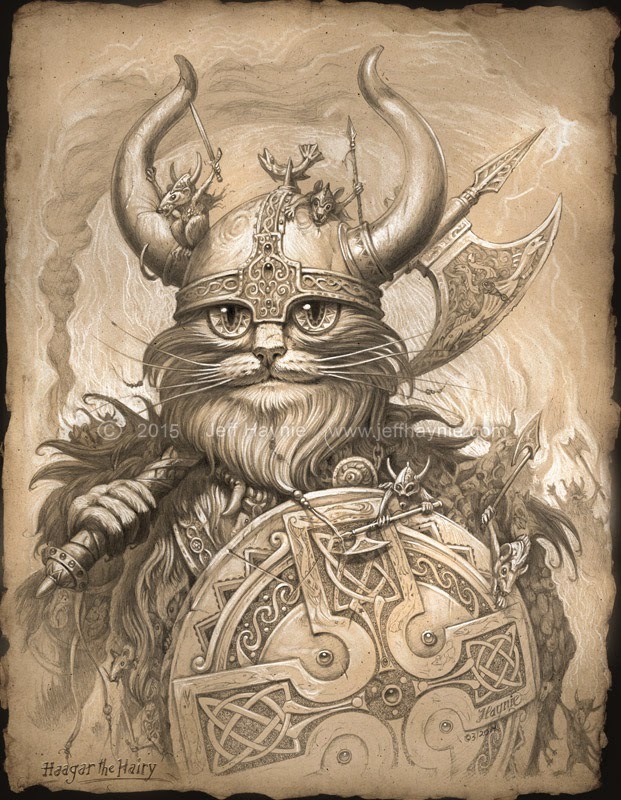 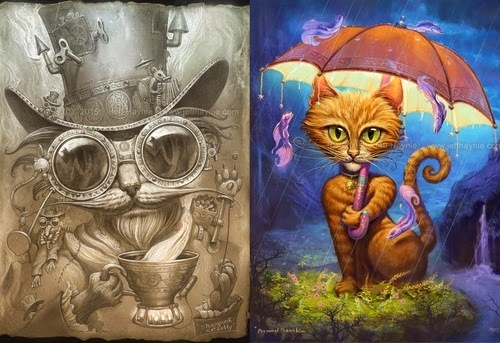 He says that he spends time painting and imagining worlds inspired by his cats. 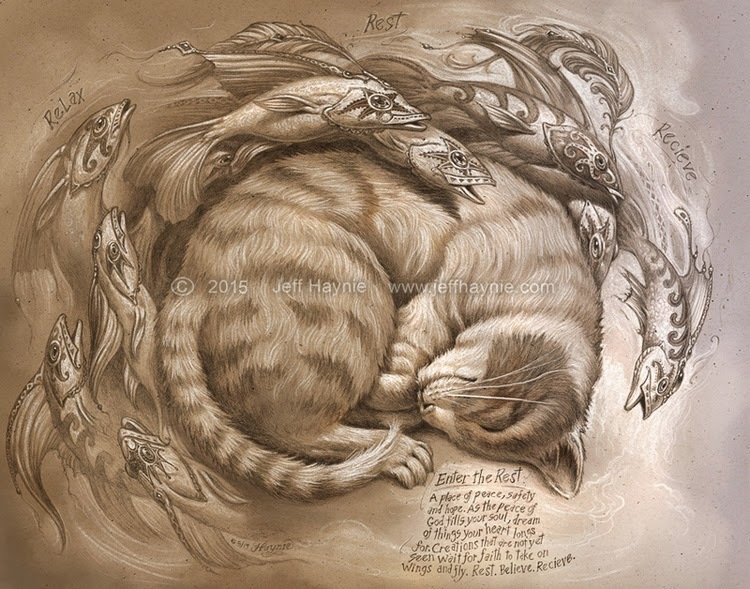 The cute thing is that if you pay attention to the detail of his paintings and drawings, the cats are paired quite often, with little mice companions. 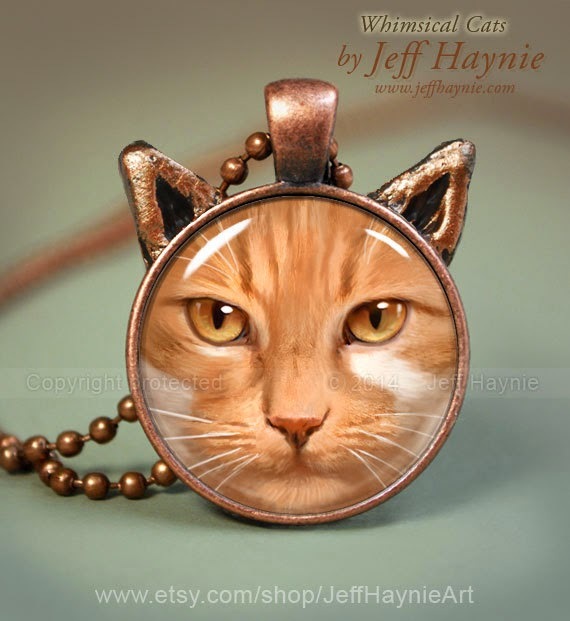 The cat Jewelry is at the bottom of the post. 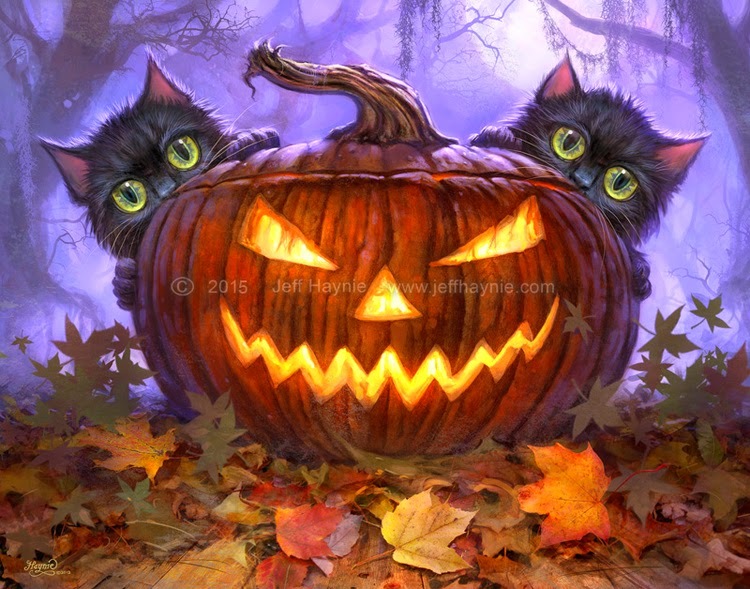 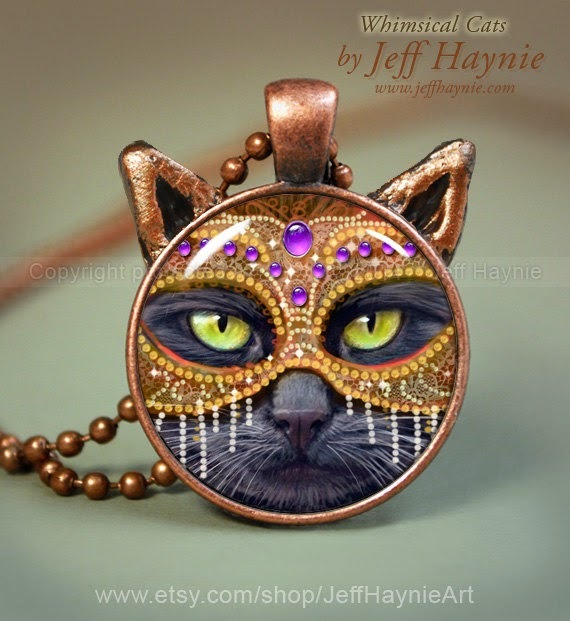 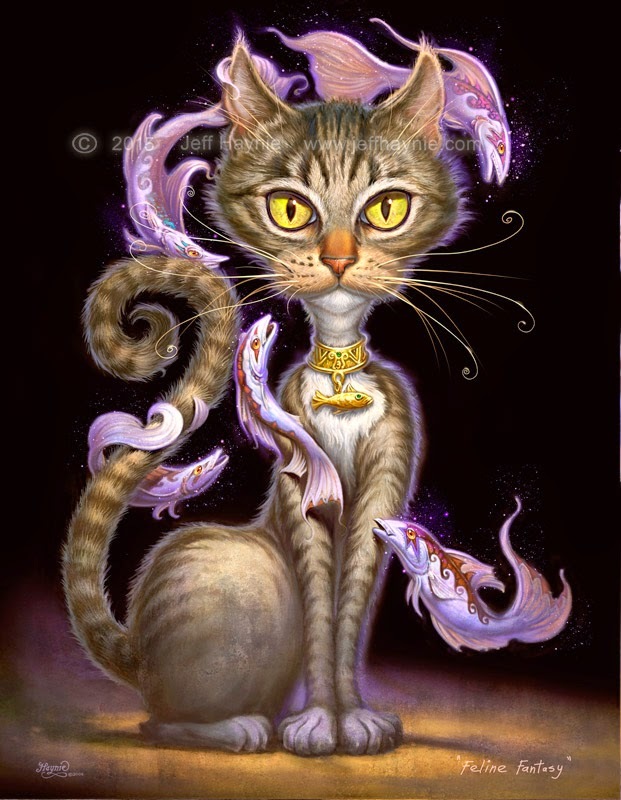 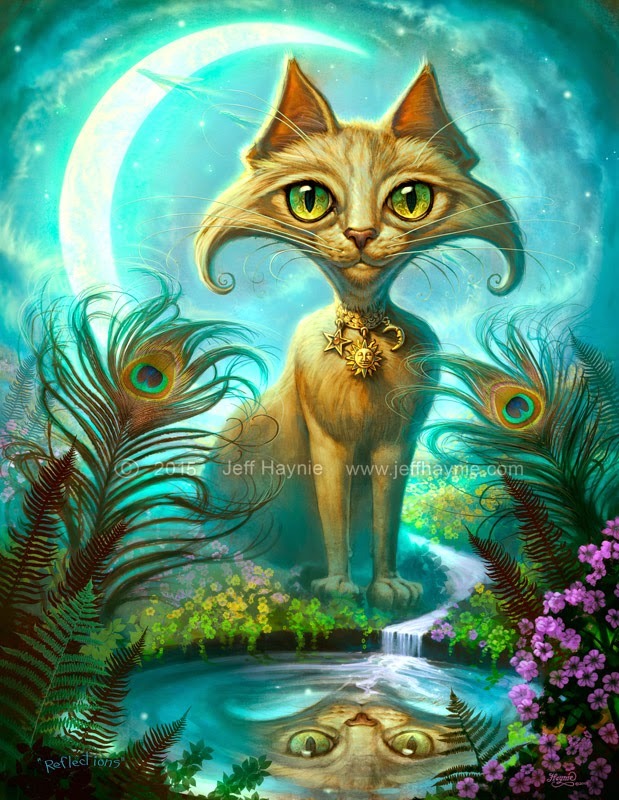 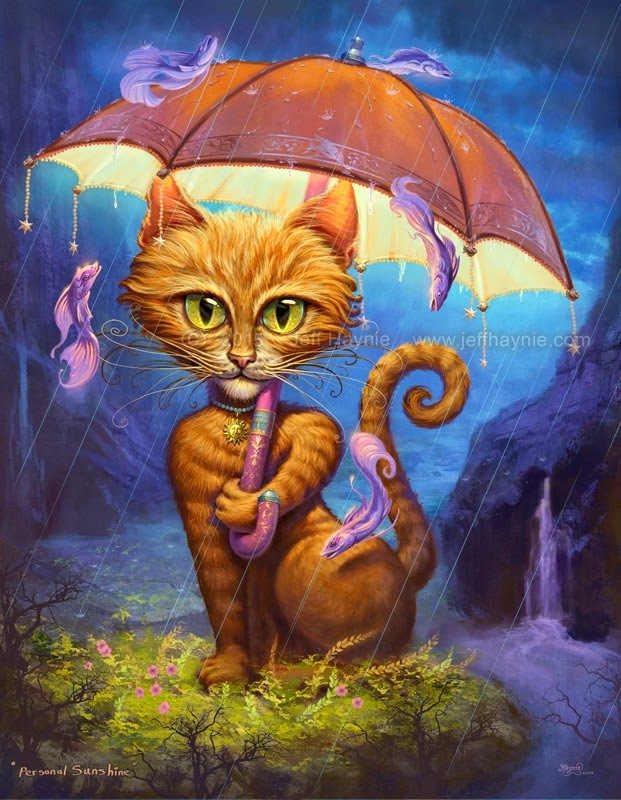 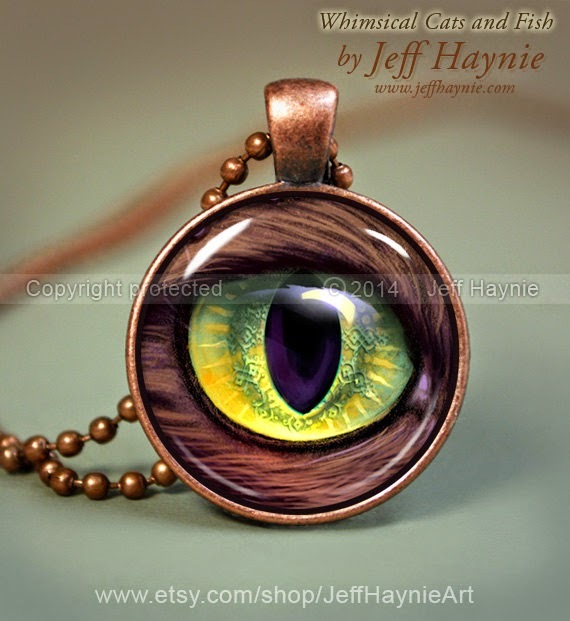 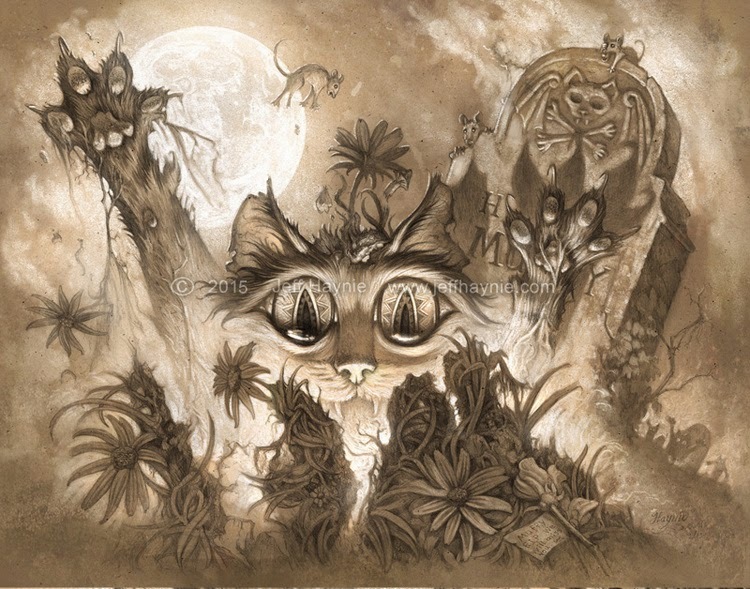 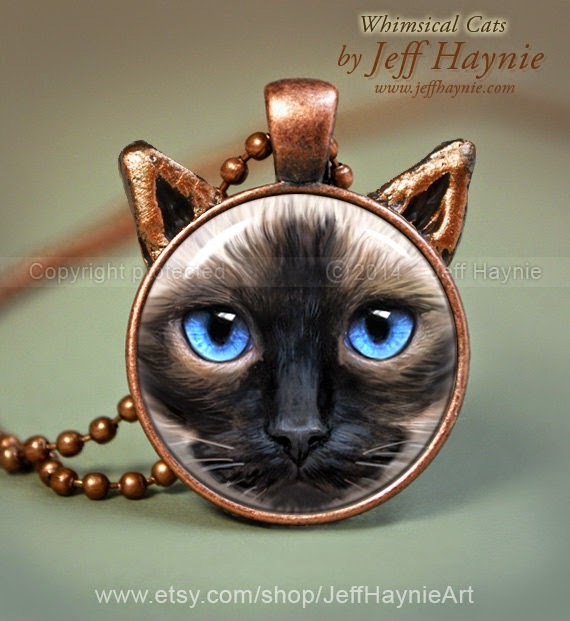 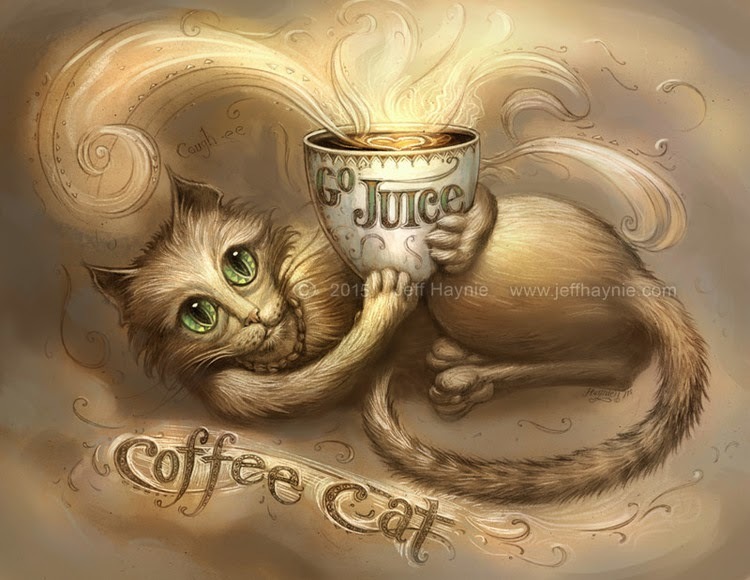 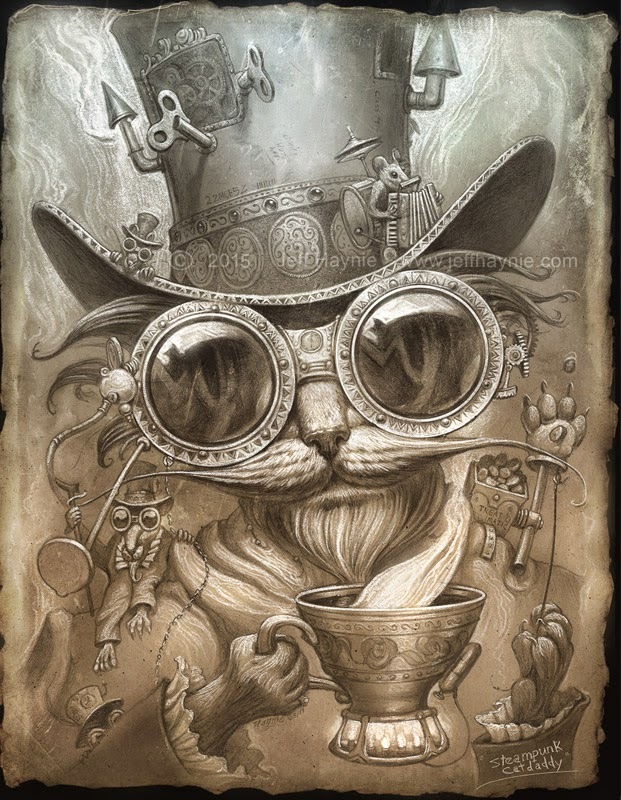 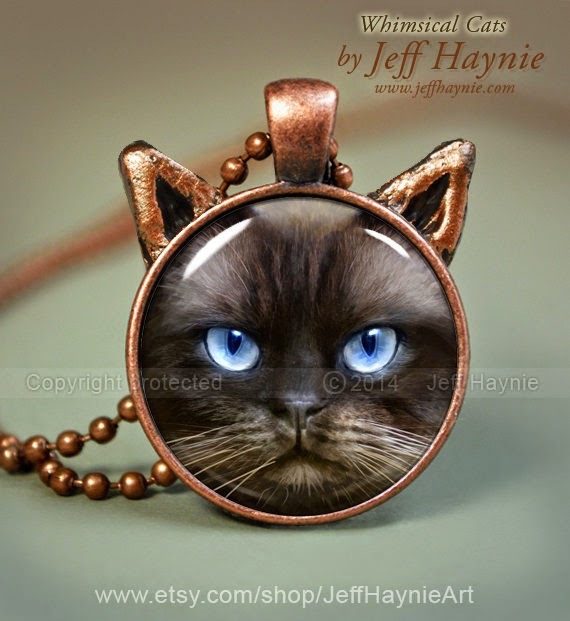 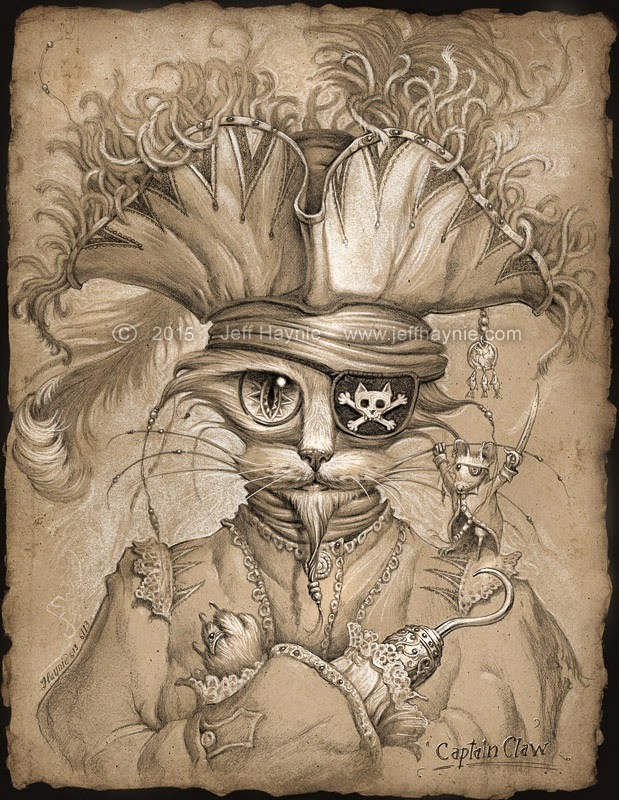 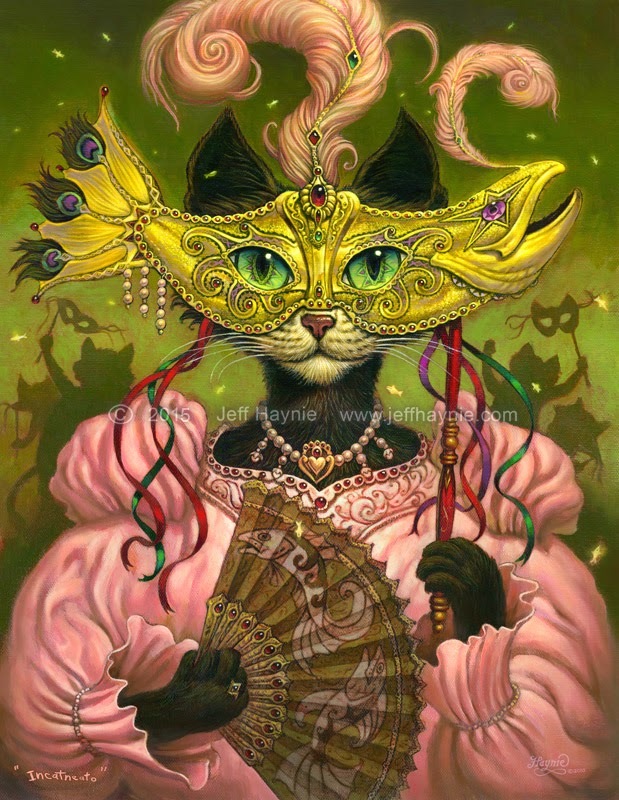 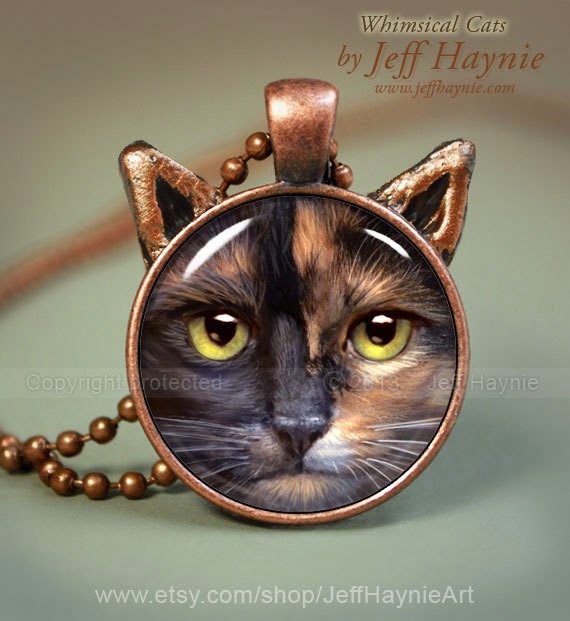 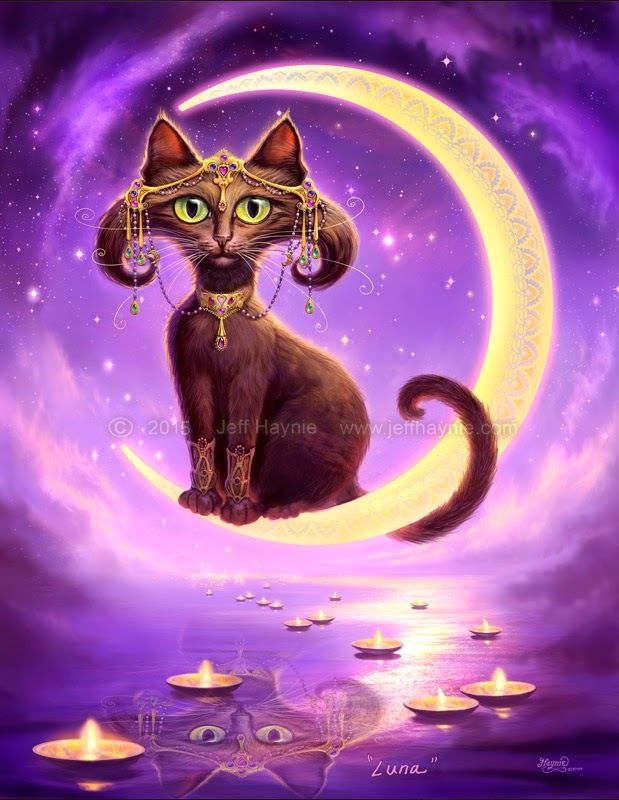 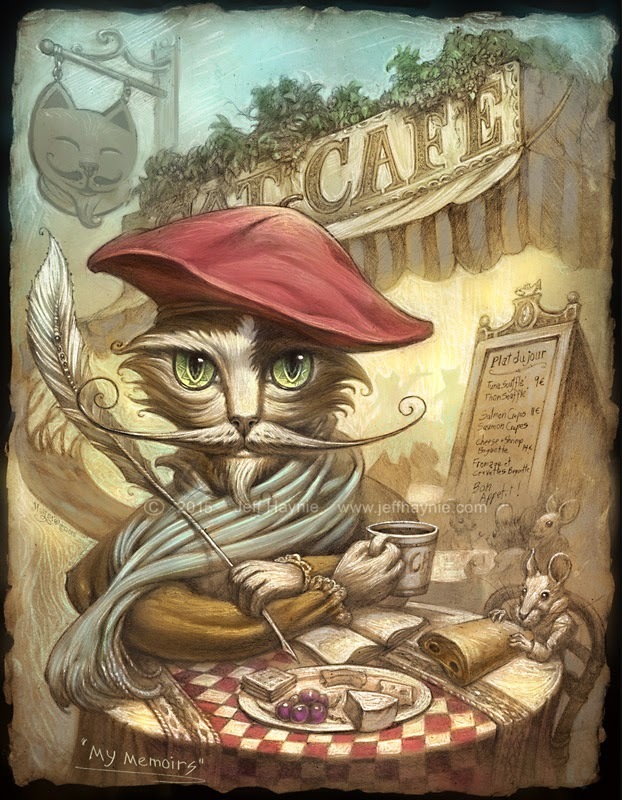 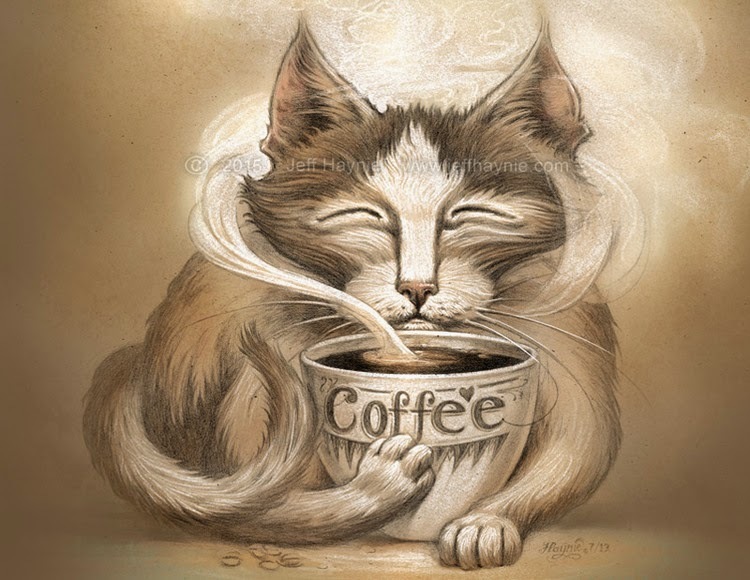 Lovely artwork that lifts the spirit which Haynie, describes as "Whimsical Cat Art". 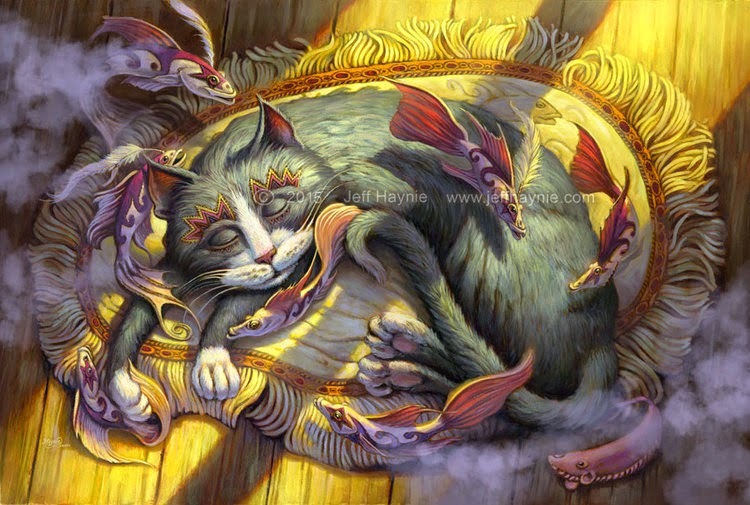 Tuna on a Silver Platter. 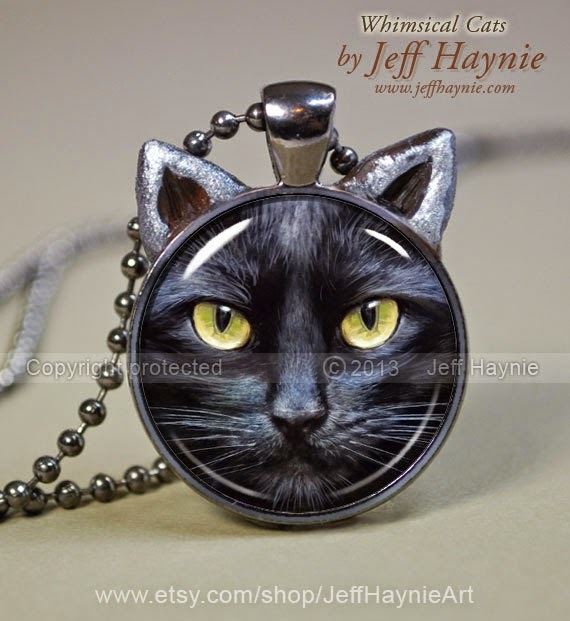 Black Cat with Copper Mask pendant.